The Curve Furniture Collection is a highly contemporary design crafted from superior-quality solid oak with oak veneers for a seamlessly stylish aesthetic. Flexible to all home interiors, the Curve Furniture Collection boasts authentic oak detailing to add unique character whilst remaining highly modern through clean edges and curved detailing. 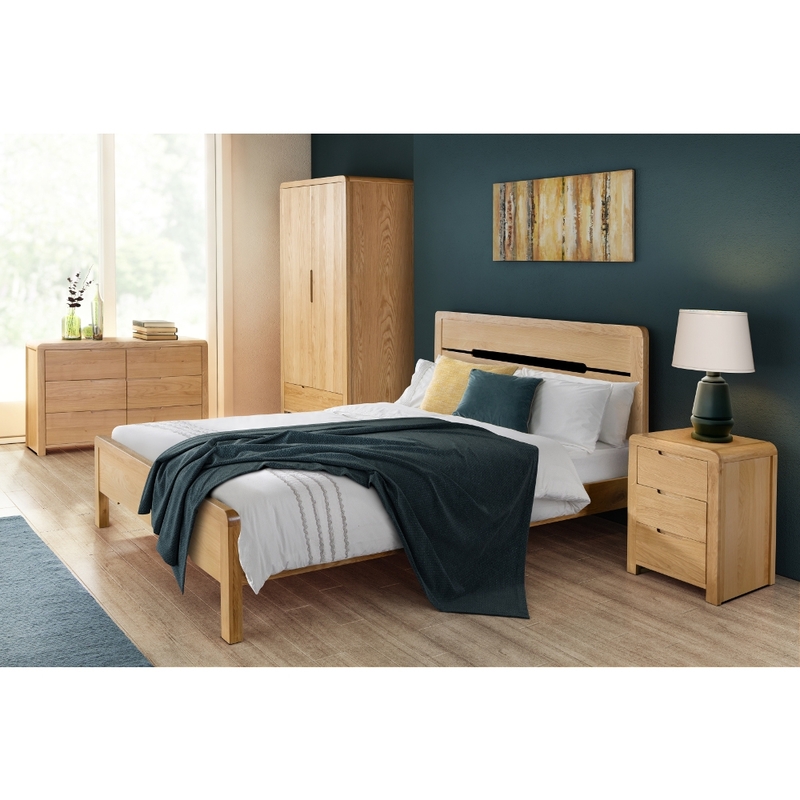 The Curve Furniture Collection adds a stunning yet simple theme throughout your bedroom, covering all aspects of bedroom solutions including savvy storage and a comfortable sleeping space. The Curve Furniture Collection is manufactured using reliable materials to ensure a lengthy lifespan, designed to provide maximum discrete storage to your bedroom whilst creating a contemporary theme throughout. The natural wax coating adds extra dimension to the gorgeous oak construct with feature dovetail joints included in all products to provide durability to both quality and style.